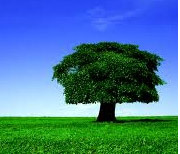 Our love for the environment is reflected in the effort that we make in order to protect it. This is the main tool in our 35 years journey, so we can provide excellent quality products with respect for people and the environment. Kyknos S.A. is a dynamic family business constantly growing. Working in the area of lime products, since 1980, in privately owned facilities of 30 acres with a 2 blast furnace having capacity of 200-250 tons / day. Units of crushed agricultural hydrated lime and ground lime manufactured by the international firm "GIMPROGETTI", as well as the largest unit of lime in Greece. With the privately own and constantly revolving fleet it can cover directly the wide clientele. 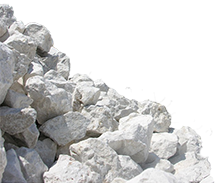 Our company produces and supplies high quality lime in all its forms. Our products are produced under strict quality standards meeting the requirements of our clients both in Greece and abroad. Οι εγκαταστάσεις μας βρίσκονται στο 10ο χλμ. παλαιάς Εθν. Οδού Κορίνθου Άργους και παρέχουν μοναδική παραγωγική ικανότητα. Σε μια συνεχώς αναπτυσσόμενη μονάδα παραγωγής δημιουργούμε τα προϊόντα μας για τα οποία οι πελάτες μας, μας προτιμούν εδώ και τρείς δεκαετίες.